Much weaker low pressure and the presence of much weaker and more diffuse boundaries meant today would likely be a slow day for storms across our target region, although instability and mid-level shear would be enough to support supercell development in any updrafts that were capable of breaking the moderate cap. Tornado risk was much lower today due to the aforementioned lack of a strong outflow boundary/warm front that would back low-level winds. 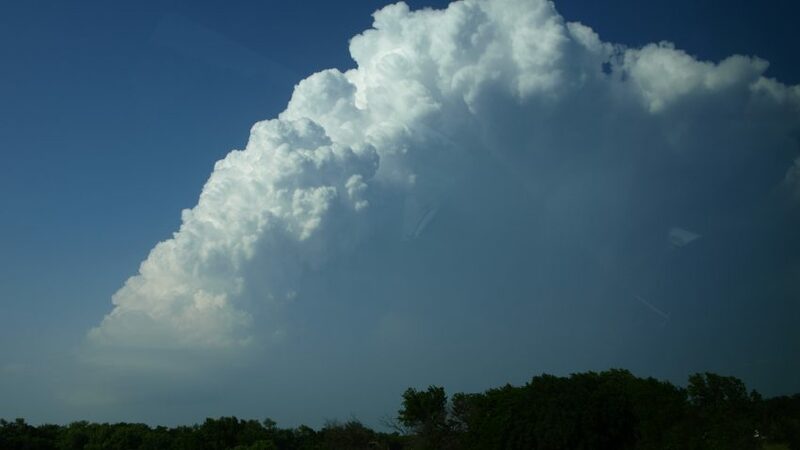 However, the boundaries that did exist seemed to converge near Salina, KS, and we targeted that location for initiation. 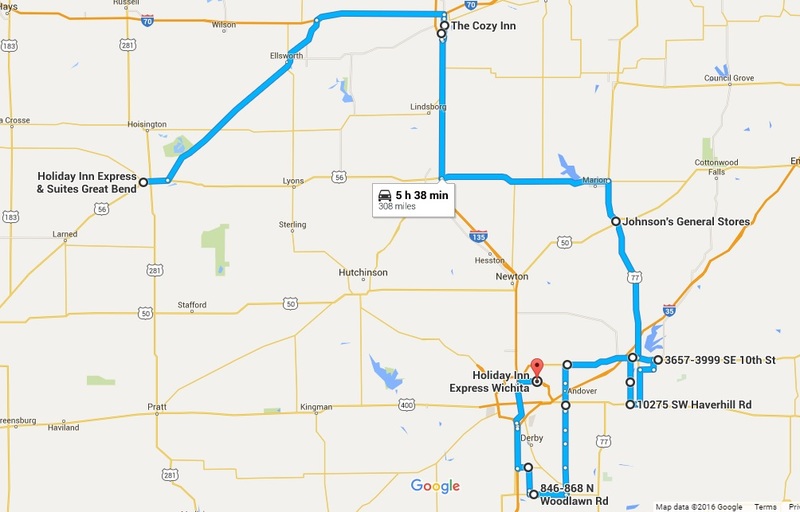 Low expectations and proximity to the target region meant a late start, and we departed Great Bend, KS at 10:30 AM CST. En route to Salina, the SPC upgraded nearly the entirety of eastern Kansas to a slight risk as model data indicated an expected bulge in the dryline just south of the low pressure center. 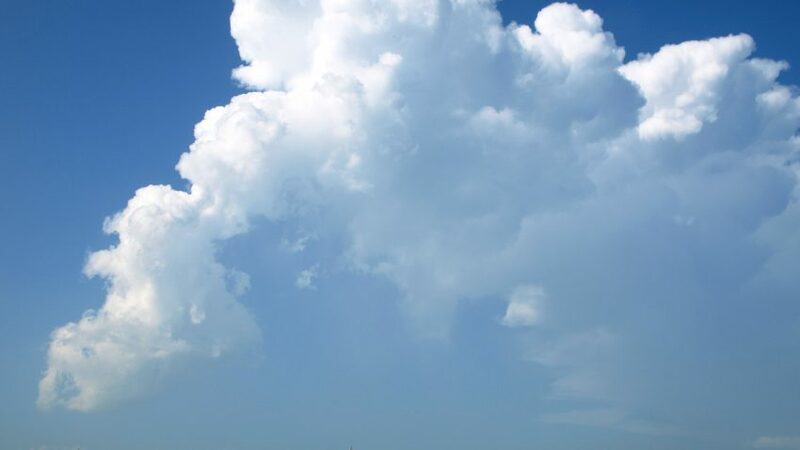 The convergence provided by this boundary may support sufficient lift to initiate supercells that would thrive in the unstable environment ahead of the dryline. After lunch at the Cozy Inn in Salina, KS, 3 PM satellite and surface analysis indicated that a strange double-boundary was setting up, pushing our target either north or south to two separate dryline/boundary interaction points. 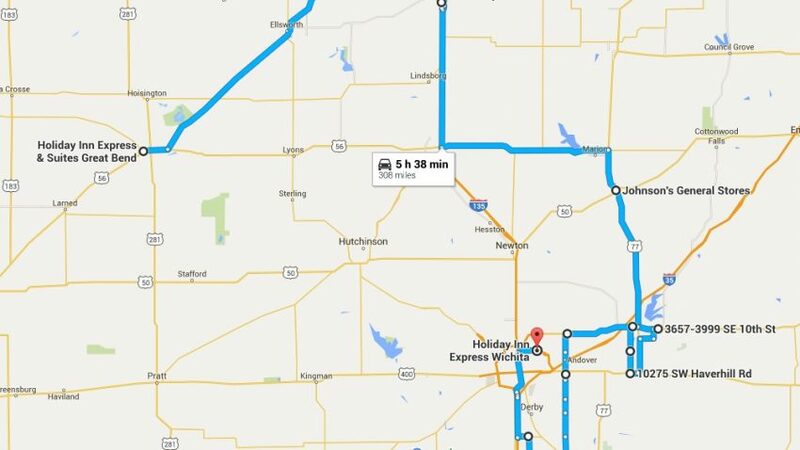 We chose the southern target, and moved to Florence, KS to make further decisions. Initiation occurred southeast of Wichita, KS at 5:15 PM CST. It appeared unimpressive on radar, but it was the only cell in the area that fired, so we moved to intercept. In El Dorado at 5:45 PM We viewed the storm as an impressive updraft formed (Figure 1), but the updraft was thin, and as we chased it became entrained and was choked off (Figure 2). It was believed the storm could have been over-sheared. After calling the chase and on our way back to Wichita for the night, an interesting supercell formed to the southeast of the city. Again, it appeared unimpressive, but it was the only storm that was sustaining itself, so we decided to investigate. Upon intercept, the storm remained unimpressive on radar and was non-rotational (although the naked eye could see some rotation in the lowered base), but it did provide some impressive sunset views. Convergence ended up being better at the northern bulge, closer to the low. 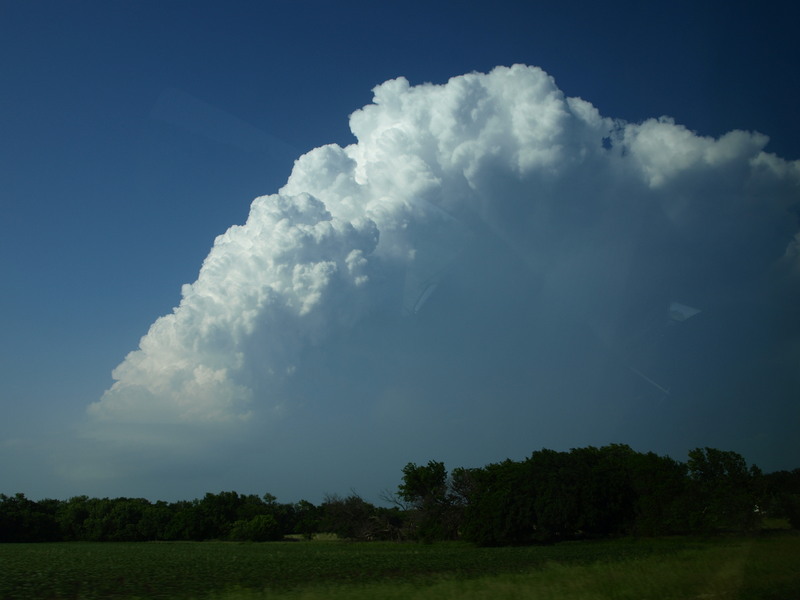 A tornadic supercell was spawned near Bennington KS. 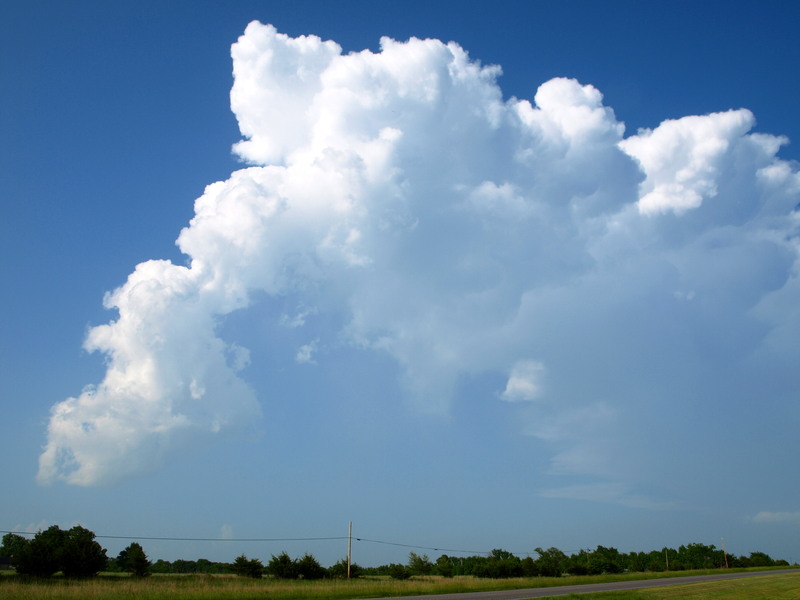 Surprisingly, convection struggled to sustain itself in the southern environment. This was again likely due to a weaker boundary than the northern target zone. Tomorrow a classic baroclinic low will set up in western Kansas, providing a much higher risk for severe weather across central Kansas. It should be an active day! This entry was posted in U.S. Weather and tagged Kansas, severe weather, Storm Chase, tornado. Bookmark the permalink.